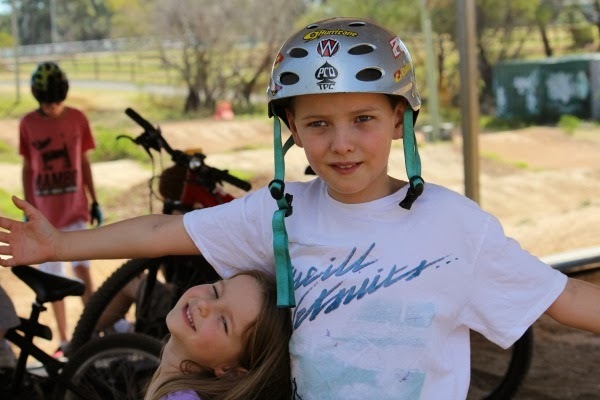 Today I am guest posting, over at Sydney, Food, Kids and Travel about how my boy was almost bitten by a brown snake, at the BMX track. I may be laughing now, but it wasn't funny at the time. Seana blogs about great things to do with kids in Sydney and other places. If you are looking for some great ideas about what to do with the kids these holidays, Sydney, Kids, Food and Travel is a great resource and may be able to help. Almost is close enough when it comes to those deathly snakes. Wow he is one lucky boy! Definitely!!!!! It only hit me later how serious it could have been.